After five or more years of discussion about the state of reinsurance pricing, particularly in the United States and other catastrophe exposed areas, a “slight improvement in reinsurance prices” has been sufficient to encourage giant Munich Re to bulk up on underwriting business at the recent renewals. This after the most impactful catastrophe year in a long time, perhaps ever once the final bill is in. Munich Re reported a result of EUR 392 million for the full-year 2017 this morning, compared to EUR 2.581 billion a year earlier. Major losses from the hurricanes and other catastrophe events hit the reinsurer hard, resulting in a loss of EUR -476 million for the year in property and casualty reinsurance and a combined ratio of 114.1% for the year. Major loss expenditure hit EUR 4.314 billion for the year and EUR 463 million for the fourth quarter, which drove the underwriting to a loss in Q4 as well with a combined ratio of 103.9%. Reserve releases were significant and Munich Re’s losses would have been much bigger, had the company not followed its practice of setting reserves as high as it can. The company released EUR 870 million of reserves for the full-year and EUR 130 million for Q4, which took 5.2% and 3.1% off the combined ratios. But, while the results were always going to be had hit by catastrophes including hurricanes Harvey, Irma and Maria, it is the renewals outcome that is perhaps most worthy of discussion. Munich Re, like almost all of its major global reinsurance cohort, have been pulling back on underwriting over recent years due to the slide in rates, bemoaning the effects of excess capital, including alternative, and preferring to shrink their U.S. portfolios of risk as a result. You’d have imagined that a big increase in rates would be required to encourage companies like Munich Re back into the U.S. market, but it transpires that only what the reinsurer itself terms a “slight” rise in reinsurance rates has been sufficient to cause the reinsurer to underwrite significantly more business. As a result, Munich Re expects to spend 2018 “seizing opportunities for profitable growth in traditional business” Schneider said. What drove this increased appetite? A 20% rise in prices? 40%? After the comments Munich Re and other major reinsurers had been making over consecutive renewals and results across the last five years or more you would be excused for thinking that more than a “slight” price rise would be required to see them jump back in. But in business any sign of a more profitable portfolio can lead to increased appetite and Munich Re has clearly demonstrated this. Munich Re underwrote 19% more business at January 1st 2018 compared to a year earlier, a significant increase driving the renewal portfolio to just under EUR 10 billion of risk. “Slight” or “modest” price increases led to underwriting a 19% bigger portfolio of risk then, at Munich Re. 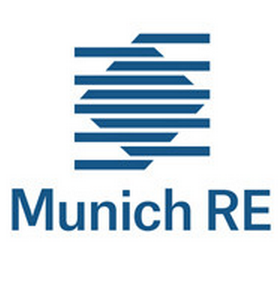 Overall, Munich Re’s renewal portfolio recorded price increases of around 0.8% at the renewal. This followed falls of -0.5% in 2017. So the 19% larger renewal portfolio has been underwritten at prices only 0.3% higher than around 2 years ago. Munich Re has clearly displayed its appetite to deploy more of its capital int underwriting at the first opportunity, which does make sense as the company was profitable even at the lower rates seen at 2017 renewals. So a larger portfolio, at average price increases 0.5% higher than last year could play out to a very profitable year for the reinsurer. Or if the United States, where much of this portfolio has likely come from and Munich Re will now have more catastrophe exposure as a result, is hit by more major catastrophes in 2018, it could be even less profitable than last year was. Is there risk attached to this strategy? Of course, this is reinsurance after all. Exposure can only have risen as a result of the larger portfolio, with U.S. and Australian risks both carrying significant catastrophe risk attached to them. As a result, it will be interesting to see whether Munich Re decides to hedge out any of the additional exposure, through greater use of retrocession, perhaps even catastrophe bonds. The company could even find an arbitrage opportunity, where cat bonds for hedging could be an effective way to shave off the peaks of the new catastrophe exposure it has underwritten at 1/1. Interestingly, many of the largest ILS fund managers have been discussing the practice of traditional reinsurers bulking up at 1/1. In some cases this made the renewal a little more competitive for ILS funds, than they had been expecting, as large reinsurers came in with big orders at rates lower than expected late in the renewals. Impossible to say if Munich Re was one of those, of course. But if this often conservative large reinsurer displayed an increased appetite thanks to slightly higher rates, there are other reinsurers that will have displayed a much stronger appetite to bulk up on new business. You can read the full results from Munich Re over at the reinsurers website.